We had a very successful leadership training! Thanks to all participants and instructors. Stay tuned for the next one in 2018. What is APIA U: LEADERSHIP TRAINING? The interactive college leadership training program involves hands-on exercises, small group discussions, and presentations led by two qualified APIA facilitators. The one day training assembles students from each region and focuses on self-awareness, team-building, and direct action organizing. Participants will be asked to challenge themselves, share their experiences, and develop leadership tools in order to effectively serve as catalysts for change. Knowing that cultural influences impact how one leads, our mission is to provide Asian/Pacific Islander American student leaders and activists with a unique training opportunity which keeps in mind the viewpoints and experiences of APIAs and students of color. The program focuses on the development of leadership and organizational skills that are relevant to APIA campuses and communities. What can I benefit from this? 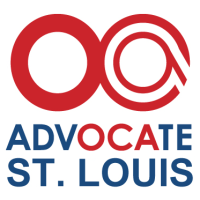 This workshop is a great opportunity to learn about Asian Pacific Islander Awareness and how we, as Asian Pacific Islanders, can make an impact within the St. Louis Community. Who is invited? ANY Asian Pacific Islander within the Greater St. Louis Region! You do not have to be enrolled at Washington University to attend. Breakfast and lunch will be provided! Woot woot! As a national organization, we can also connect you with our other chapters in cities such as Las Vegas, San Francisco, Oakland, San Mateo, Los Angeles, Chicago, Houston, New York, Seattle, Denver, Hudson Valley, Salt Lake City, Phoenix, etc. So when you move or go back home, there are opportunities to learn from leaders across the country. If you are interested, contact us by going to the tab ‘Contact Us’ and let us know which city you are heading to. You can also share this information by scrolling down and click on the share button below. Looking forward to seeing AND hearing from you!